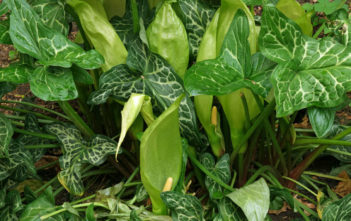 You are at:Home»Archive for "Arum"
Arum is a genus of flowering plants in the family Araceae, native to Europe, northern Africa, and western and central Asia, with the highest species diversity in the Mediterranean region. 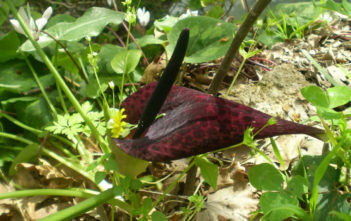 Frequently called Arum Lilies, they are not closely related to the true lilies (Lilium). 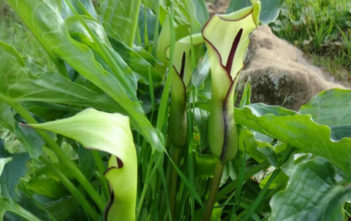 Plants in closely related Zantedeschia are also called Arum Lilies. 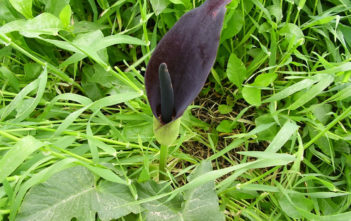 The genus name is the Latinized form of the Greek name for these plants, aron.